Get ready for tonight's game with this highlight reel from the Phoenix Suns! 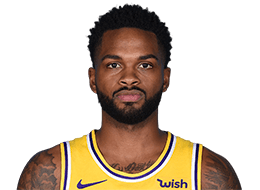 Troy Daniels drives to the rim for the and-1 floater. Josh Jackson scores 28 points as the Phoenix Suns snap a 15-game losing streak with a 97-94 victory over the Sacramento Kings. Kevin Durant puts up 29 points, 11 rebounds, and eight assists, and Golden State Warriors overcame a sloppy start to beat Phoenix. James Harden posts a double-double with 28 points and 10 assists and after trailing for most of the game, Gerald Green buries the game-winning three to push the Rockets over the Suns in a 104-103 victory. Took the court in his first NBA game at Orlando (3/5/14) … scored the first five points (2-4 FG, 1-3 3FG) of his NBA career in 5:32 off the bench vs. Indiana (3/7/14) … the D-League Gatorade Call-Up was signed by the Rockets on Feb. 21 and assigned back to the Vipers … recalled by Houston on Mar. 2 and re-assigned on Mar. 8 … recalled by Houston on Apr. 9 … Poured in a career-high 12 points at Denver (4/9/14) … re-assigned back to the Vipers Apr. 12 and recalled by Houston on Apr. 12 … became just the second player of the 2013-14 season to play in two professional basketball games in one day (Rio Grand Valley at Iowa and Houston vs. New Orleans … scored a career-high 22 points (8-16 FG, 6-11 3FG) and assisted on a career-high five field goals at New Orleans (4/16/14) …has averaged 22.8 points, 4.6 rebounds and 1.9 assists in his first 36 games (25 starts) with Rio Grande Valley this season … at the time of his recall, he led the D-League in 3-pointers made (190) and ranks tied for fourth in the league in scoring average (22.8) … broke the D-League record for 3-pointers made in a season with his 153rd make vs. Tulsa (1/29/14) … tied the D-League record for 3-pointers made in a game with 10 at Idaho (1/4/14) … placed second in sudden-death round of the 2014 Boost Mobile NBA D-League 3-Point Competition … selected to the 2014 NBA D-League All-Star Game, scoring 21 points for Team Prospects in a 145-142 win over All-Star Weekend in New Orleans. had a record-breaking senior season for the VCU Rams in which he knocked down 124 3-pointers (.403, 124-308 3FG), the highest single-season total in school history and the third highest in Atlantic 10 annals … finished with 251 treys in his collegiate career, which ranked second most in the program’s history … broke the Atlantic 10 record for treys in a game with an 11-of-20 night from downtown en route to 33 points and 10 rebounds in a 109-58 victory at East Tennessee State (1/2/13).